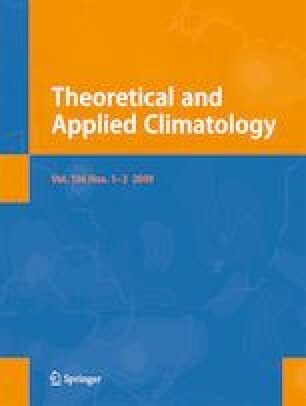 This study attempts to analyze possible aerosol–cloud–precipitation interaction over the eastern part of India including Bhubaneswar city and the whole Odisha region primarily using a long-term satellite-based dataset from 2000 to 2016 during pre-monsoon period. Relationship between aerosol optical depth (AOD), rainfall, and cloud properties is examined by taking convectively driven rain events. The two-sample student’s t test is used to compute “p” value of datasets that are statically significant. Role of aerosols in governing cloud properties is analyzed through the variation of COD (cloud optical depth) and CER (cloud effective radius) in the AOD ranges 0.2–0.8. A relatively stronger and affirmative AOD–CER relationship is observed over Bhubaneswar city compared to Odisha region though the aerosols still play an appreciable role for the later too. The AOD–COD relationship is weak over both the regions. For Odisha, relationships between aerosol and cloud parameters are insignificant irrespective of rainfall regimes. Fostering of heavy rainfall over these regions takes place due to invigoration and microphysical effect during pre-monsoon months, depending upon meteorological conditions. Liquid water content and presence of a mixed-phase zone, both seem to be quite important in the convectively driven precipitation over Odisha region including Bhubaneswar city. The authors acknowledge the data support from Giovanni (http://giovanni.sci.gsfc.nasa.gov/giovanni/), ERA-Interim portal (http://apps.ecmwf.int/datasets), and Wyoming Weather Web (http://weather.uwyo.edu/upperair). Special thanks go to my lab mates Mr. Sudhansu Sekhar Rath, Mr. Bijay Kumar Guha and Ms. Kasturi Singh for their technical help during my work. The authors also express their thankfulness to the anonymous reviewers for their valuable comments and suggestions, which helped in the overall improvement of the manuscript.